Visit GVP's blog to learn more about beautiful Garden Valley, home care tips, and advice for when you are buying or selling. 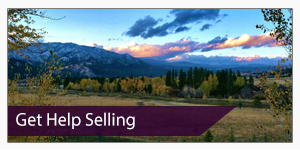 If you are considering moving to Garden Valley and Boise County area, you’re not alone. Our community is full of fun attractions. After a long day of whitewater rafting or kayaking, choose from one of our many popular restaurants or cafes. Then enjoy an evening of entertainment at the Starlight Mountain Theater. Garden Valley is full of outdoor sports to enjoy including world class fishing, hunting, archery, a shooting range, and sleigh rides in the winter. The mountains surrounding us are full of trails for outdoor recreation and wildlife to enjoy. At Garden Valley Properties, we are committed to making relocation a breeze. Our office is full of knowledgeable staff and brochures that can help you find anything from a local mechanic to remodeling professionals. Stop in anytime for more community information. We have gathered online resources to make your time in Garden Valley more enjoyable, whether you are relocating or just visiting. SWITA is a site that is devoted to Southwest Idaho; it’s ideal for finding activities close to our area. If you are interested in winter activities, follow this link to The Hottest Cold Spots in SW Idaho. Garden Valley is surrounded by major downhill ski resorts: Brundage, Tamarack, Bogus, and Sun Valley. Here is a travel guide from SWITA of more attractions located along Highway 55. 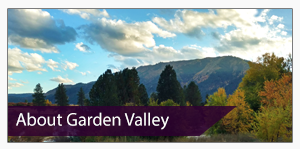 Garden Valley is a short drive to all these perks in Idaho. We also have the same attractions in our valley. The fun doesn't stop once the snow melts, there's plenty to enjoy year-round! One of the most useful resources for online information about local businesses is the Chamber of Commerce website. It also has updated events in the area and trail information. The Senior Center partners with the Chamber of Commerce, you can find out more about their services at the Senior Center website or on their Chamber of Commerce member page. Garden Valley boasts a school district that prides itself on safety, top education, and a wide variety of extracurricular activities. Their forward thinking on gun safety and preparing teachers has gained national attention. Read this article to learn more about their gun policy. For information on the school district itself, here is their website. After school, there are plenty of fun activities, classes, and places to study at the Garden Valley Library. Check out their Facebook page for upcoming events (like 3D printing and leatherworking classes). If your transportation of choice involves flight, the Garden Valley airport welcomes you! Visit airnav.com’s page to learn about communication with the landing strip, operation information, and location. We hope that your relocation or visit to Garden Valley is an enjoyable one. Our mountain community awaits you! 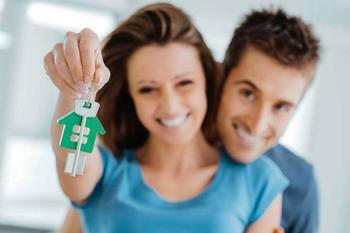 Great news for first time home buyers! 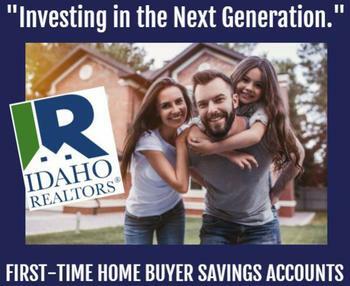 More young families and couples are moving to our area; this announcement from Governor Brad Little is worth checking out if it's your first time purchasing a home. Feel free to call our office if you have any questions, 208-462-4620. "To prevent minor issues from escalating into full-blown, money-sucking, sale-killing problems, focus on these six important areas you can’t afford to neglect." "Staying on top of these regular tasks will make it easier to sell your home with fewer headaches. Plus, it'll preserve the value of your property, and potentially, the thickness of your wallet, too." Sanding inclines and clearing paths for delivery trucks (UPS, Fedex, USPS, and if you require propane delivery) from the very first heavy snowfall will make it easier to access your home and guarantee you receive all necessary services during the winter. Should there be an emergency at your home, it's vital to have your home accessible for first responders. If you have old weather stripping or none at all, it can be fairly inexpensive and increases heat efficiency in your home. Buying one makes it much easier to keep snow off your roof and prevent ice dams from building up and compromising the structural integrity of your home. 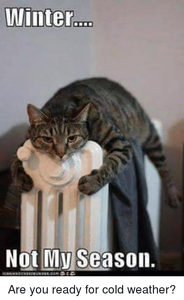 In cold weather avoid the temptation to turn down the heat when you leave your house. By keeping the heat consistently higher, it prevents your pipes from bursting. If your home has exposed water pipes, wrap them in insulation. 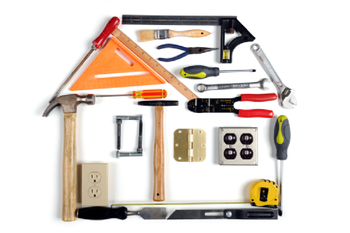 By making small, cheap improvements to your house you are potentially saving thousands in water damage and pipe repair! If you have a propane tank, exposed pipes, powerlines, personal machinery, or anything that could be damaged by cold temperatures and heavy snowfall be sure to consistently clear ice and snow off. Keep your chimney and rooftop clear of snow and ice. Dangerous gases becoming trapped in your home is easily avoided by keeping vents clear of snow and ice. If you ever require work to be done to your home or tanks serviced in the winter, it's easiest to mark them before snow falls so they are easily accessible. 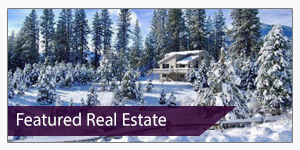 Garden Valley Properties hopes these tips will help you have a safe, warm, happy winter season!